More things to do in Detroit! The Detroit Cycle Boat is another city favorite and takes the popular pedal bar to the water. The Cycle Boat can accommodate parties big and small for a unique way to host your next big event on the Detroit Riverfront. 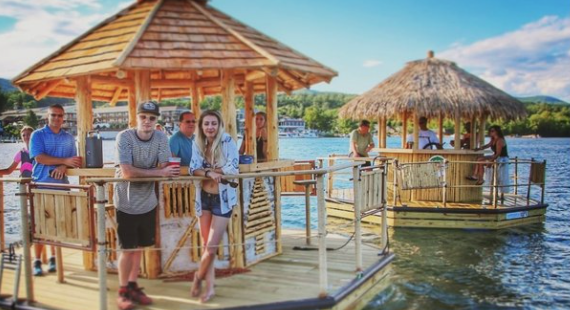 Hula your way on board to Michigan’s first and only charter TiKi BOATS! Aloha Tiki Tours takes the tiki bar to the water and allows you to sail away to paradise. With multiple Tikis available they can accommodate parties big and small. Your safety is important to us. Download the UBER app here and keep the party going responsibly. Please don’t drink and drive.